Justice Secretary Ken Clarke's plans for prison reform will mean far greater private sector involvement, says Home Affairs Correspondent Simon Israel. Cherie Booth QC tells Channel 4 News "It is not a quick fix." Fewer offenders could be locked up and more be given community sentences, under new government reforms, Justice Secretary Ken Clarke announced this morning. In his first major speech as justice secretary, Mr Clarke described as "astonishing" the 85,000 prison population in the UK and questioned whether it delivers value for money - reflecting what Frances Crook of the Howard League for Penal Reform desribed to Channel 4 News as a "financial imperative". The justice secretary said he was "amazed" that the number of people in prison had doubled since his time as home secretary in the early 1990s. - Simon Israel: rehabilitation revolution - but at what cost? He maintained that keeping a prisoner in jail has often proved "a costly and ineffectual approach that fails to turn criminals into law-abiding citizens". Cherie Booth told Channel 4 News: "The question is whether you are getting value for money. The fact is community punishment – and it is punishment – is cheaper than putting people in prison and for many it is more effective. "In the long run you save money because you can actively stop bad behaviour. At the moment with prisons overcrowded, it is not possible to change people’s behaviour. "There are times when there are no alternatives to prison – because that is what someone deserves. But other times doing work in the community would be better. "It is not a quick fix but in the end it is a better spending of money." The government has pledged a review of sentencing policy to ensure that it is deterring crime and protecting the public. The proposals outlined in today's speech were based, according to Mr Clarke, on the "rehabilitation revolution" policy "on which the Conservatives - now influenced by the wicked Liberals - actually got themselves into office". Rehabilitation revolution - but at what cost? Ken Clarke's basic equation is that there are now virtually twice as many people in prison now as when he was home secretary 18 years ago, writes Channel 4 News Home Affairs Correspondent Simon Israel. And do people feel safer? His answer is no. Not only no, but he describes this situation as ridiculous. So driven by the need for drastic budget cuts, he is looking for wholesale change to the criminal justice system, maintaining public protection for less, which means locking fewer criminals up. In his speech he says it costs £38,000 a year to send someone to prison - more than it costs to send a boy to Eton, the prime minister's old school. "We spend vast amounts of public money on a growing prison estate and ever more prisoners." Mr Clarke says it's time for a rehabilitation revolution, but what's not clear is how that will square with being tough on crime if protecting the public has to be cheaper. In his first ministerial speech at King's College, the justice secretary says the most radical part of his approach will be paying by results - and that will mean a far greater role for private sector, namely companies like Group 4 and Serco. 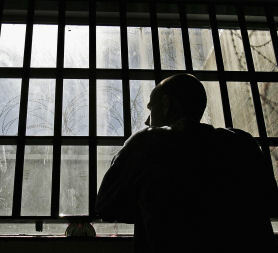 Today's speech, delivered to the Centre for Crime and Justice Studies at King's College, London, challenges the "prison works" philosophy advocated by Michael Howard when he was Conservative home secretary in the 1990s. The justice secretary also spelt out plans to hire voluntary and private sector organisations on a payment by results basis, in order to reduce reoffending - a move which, according to Channel 4 News Home Affairs Correspondent Simon Israel, "will mean a far greater role for the private sector, namely companies like Group 4 and Serco". Clarke is renowned for his laid-back (some say scruffy) personal style, his Hush Puppies, his love of jazz, his cigars and for birdwatching. Now revered as a political "big beast" it was the victor in the 2005 Tory leadership battle (Cameron) who brought the former chancellor back onto the political frontline. And Mr Clarke indicated that he favours reducing the number of short sentences, which make it "virtually impossible" to rehabilitate or train prisoners but often cost them their jobs, their homes and their families, as well as making it more likely that they will reoffend. "There are some nasty people who commit nasty offences," Mr Clarke said. "They must be punished, and communities protected. My first priority is the safety of the British public." "I welcome Kenneth Clarke's speech very much. I think it's courageous," Martin Narey, former director general of the Prison Service, tells Channel 4 News. "Those of us involved in penal reform for many decades won’t be surprised. The last home secretary to expose the futility of locking up more and more people in prison was Douglas Hurd in 1991. "Ken's right when he says the virility of penal policy has for too long been measured by the number of people we lock up. "I ran the Prison Service for seven years, and I believe imprisonment can work – but it can't when prisons are desperately overcrowded and so many prisoners are there for only a few weeks – or sometimes a few days. "I'm entirely relaxed about the prospect of greater private sector involvement. Whether it's the public, private or voluntary sector, if we can have successful rehabilitation in the community, it will be cheaper, more effective and will cut crime. "If we had fewer people in prison, we could make prison work." David Cameron announces plans to create 5,000 new prison places using the proceeds from the sale of 30 Victorian jails, in a green paper called Prisons with a Purpose. The proposal would take the capacity of Britain's prisons "to over 100,000". The Conservative party abandons plans to create 5,000 extra prison places. Channel 4 News reports that this market a fundamental rethink of the Tory promise that "prison works" – the mantra was now "rehabilitation, not incarceration". "We need… an intelligent and transparent approach to sentencing that targets the causes of reoffending, so making our communities safe and better places to live. We describe it as a Rehabilitation Revolution." "Simply locking people up for the sake of it is a waste of public funds. We must have other penalties on offer." "The most radical part of our new approach will involve paying independent organisations by results in reducing offending. And success would be measured… by whether they are law abiding and avoid reoffending within the first few years of leaving prison." "Something Kenneth Clarke said on the radio this morning was illuminating. He accused Labour of having a chequebook in one hand and the Daily Mail in the other," Frances Crook of the Howard League for Penal Reform told Channel 4 News. "That goes back to Michael Howard and, to some extent, Kenneth Clarke's earlier tenure as home secretary, when he presided over an extension of the prison population. "But this is chequebook politics. It's the financial imperative. Prisons are expensive and wasteful. At the bottom it’s money – but that's fine, I have no problems with that. "Kenneth Clarke is looking at after-care. This idea of the social impact bond is that people will run after-care services to prisoners. It's interesting and we'll watch that with an open mind. "The problem, however, is that it won't solve the immediate challenge, which is financial, because it takes time to work out if someone will reoffend. "The justice secretary's immediate issue is to stem the flow of people going into the system. To reduce figures, he has to close prisons. "Take Pentonville prison, for example. You've got 1100 prisoners in Pentonville – if you take 200 out it doesn't make any difference. You have to actually close it to release £20m. The cost of each prison per year is £12-20 million. "Some of that money could go into managing the people from Pentonville who would be released, because public safety is a major issue. "You would split the money so some of it would also go into the community. Most of the prisoners come from the same areas. In order for communities to accept those people back, they have got to be rewarded. "This is justice reinvestment, but it only works if you close institutions. The health service is facing the same problems with hospitals. If you can do it at neighbourhood level and with local authorities coordinating, you have a much better chance of turning people’s lives round. "Kenneth Clarke is proposing to reduce the number of short sentences. The fact is, 65,000 people go into prison each year for less than six months – and that doesn't help anybody. "The reoffending rate for such people is extremely high. We know that they have chaotic, crazy lives – they're drinking, taking drugs, and they have mental health problems. A few weeks in prison isn’t going to stop them from reoffending. "There are two reasons why short prison sentences exist. One is punishment – society's revenge. The other is symbolism. "But you can have symbolism in a much more constructive way. You shouldn't make community sentences punishment. They are about change. Once you introduce punishment, you fail. The more restorative sentences are, the more healing they are and the more they protect victims."